The success or failure of a business is significantly affected by customer reviews. If the reviews are good, the reputation, market share, and revenues of the business will all improve. It’s very likely that online customer reviews are among the first things customers read about your company. Thus getting positive reviews is essential – and there are a few different ways of achieving this. To start with, companies should make sure that online reviews can be posted where potential future customers can see them. That may mean allowing comments on products and services pages of your company’s own website. It also means establishing a presence on heavily trafficked sites like LinkedIn, Facebook, and Yelp. 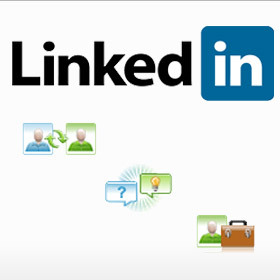 LinkedIn is one of the most respected sites for business profiles, reviews, and recommendations. When you post information about your company there, you raise its profile amongst search engines. This draws attention from consumers browsing for the goods and services you offer. You can convert those consumers to customers if the reviews they see on LinkedIn are good. One way to do that is by posting good reviews of other companies and professionals. The site operates on the basis of mutual benefit: if your company posts positive reviews of others, it will very likely get positive reviews in response. Statistically, the rate of return tends to be about 50%, so if you post two dozen positive reviews you can expect at least a dozen back. Each one you get will help your business, so pursuing this strategy is definitely worth your time. Of course it is not wise to help your competition with positive reviews but you can always cooperate with your business partners in this. 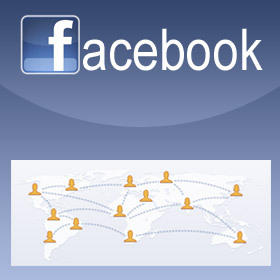 Currently, Facebook is one of the most visited sites on the web, with an estimated billion users worldwide. If your company gets positive online reviews there, they will be seen by many people and the company’s image will be elevated. Facebook is very content driven. Because of this, the page you set up for your company there should have lots of content for people to comment on. This can include flattering pictures of your products, your company’s success stories or anything related to your industry. For example, if your business just got a new deal that puts one of your products in an additional store, post on your Facebook page about it. You will be telling customers that it is now even more convenient to get what your business offers. Many of them will respond by posting positive online reviews. By posting that kind of content regularly, you can be confident of being seen in the newsfeeds of many people who are fans of your page. You can encourage them to share the posts you make as well so their friends can see them. 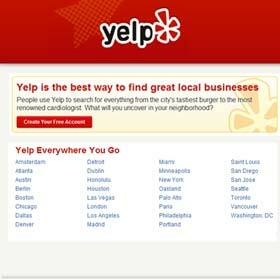 Yelp (which stands for “yellow pages”) is an increasingly popular site that features reviews of businesses. It is the first place many people go to if they want to know about a business’s reputation. Consumers will visit Yelp, search for the kind of business they’re interested in, and read the online reviews for each one. If the reviews for your business are good, you’ll get new customer. Like with LinkedIn, a key to getting good online reviews at Yelp is by giving them. 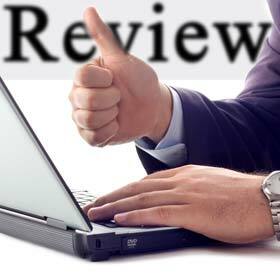 Other businesses will be grateful for positive reviews from you, and will provide them for your company. It is worth dedicating the time to, since the more positive online reviews you get, the more new customers you will have. With LinkedIn, Facebook, Yelp, and other sites, it is important to get your regular customers to comment. This will increase the sheer volume of reviews, raising your company’s profile and making it more noticeable than the competition. One way of doing this is to ask them about your key products and services in updates. If you have your own webstore, you also have to encourage your customers there to write a review. The best thing to do this is after checkout. Once you have a consumer database, you can also send your requests via email. A typical approach is to email current customers asking them to comment at specific sites, and including a link to those sites. If you follow up with a reminder email a few days later, that will significantly improve your chances of getting more online reviews. Of course you have to be prepared for getting negative reviews too. Because Facebook, Yelp and other social forums are public, you can’t hide the negative voices from your customers. You should always listen to these and try to help them with their problems concerning your business. This is not always easy to do, but answering your customers’ concerns and questions will also help you in achieving a positive image in social media.